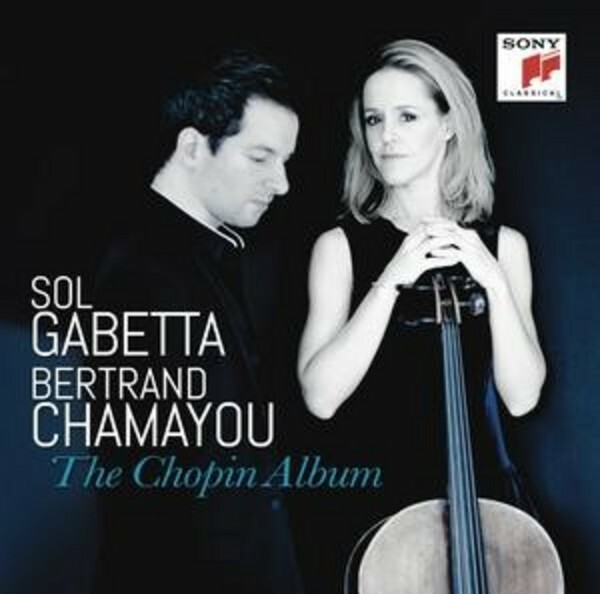 On her new album, cello superstar Sol Gabetta teams up with one of the best young artists, French pianist Bertrand Chamayou. Gabetta and Chamayou have played together on many occasions and quickly became both friends and artistic partners. They collaborated on the album concept and will tour this repertoire in Europe throughout 2015. The Chopin Album contains a selection of pieces by well-loved composer Fr�d�ric Chopin (1810-1849) as well as music by his close friend, the composer and cellist Auguste-Joseph Franchomme (1808-1884). The centrepiece of this album is Chopin's striking Sonata for cello and piano in G minor, op. 5, written in 1846 - one of the rare pieces Chopin wrote for a solo instrument other than the piano. The duration is over 30 minutes and it was written for and dedicated to Chopin's close friend Franchomme. The cello sonata was the last work published during Chopin's lifetime before he died in October 1849. The Grand Duo concertant in E major, B.70 was written jointly by Chopin and Franchomme in 1832. Chopin had initially been contracted by his publishers to write a work for piano based on Meyerbeers opera �Robert le diable�. He had attended a performance and liked the work, but was disinclined to write a �fantasia� on another composer's music. Franchomme persuaded him to jointly write a piece for cello and piano, using themes from the opera. Chopin delivered the general structure of the piece and wrote the piano part and Franchomme wrote the cello part. The piece was published under both their names, and was favourably reviewed by Robert Schumann. Chopin's Polonaise brillante in C major, op.3 for cello and piano is one of Chopin's first published compositions and was written in October 1829, dedicated to the Austrian cellist Joseph Merk. Chopin composed the famous Nocturne in F major, op.15, no.1 for piano in 1832. The transcription for cello and piano on this album was done by Franchomme. Auguste Franchomme was one of the best and most celebrated cellists in Paris in his time. He also worked as a composer and published around 50 works for cello, among them his Nocturne for Cello and Piano, op.14 no.1 which Gabetta and Chamayou selected for this album. Chopin's �tude, op.25, no.7 (1836) for piano solo is part of the famous 12 etudes op.25 and was arranged by composer Alexander Glazunov for cello and piano.